I am a cancer free, survivor patient treated with IPT/IPTLD. Testimonials: "I.P.T. Anti-Piracy M.D. 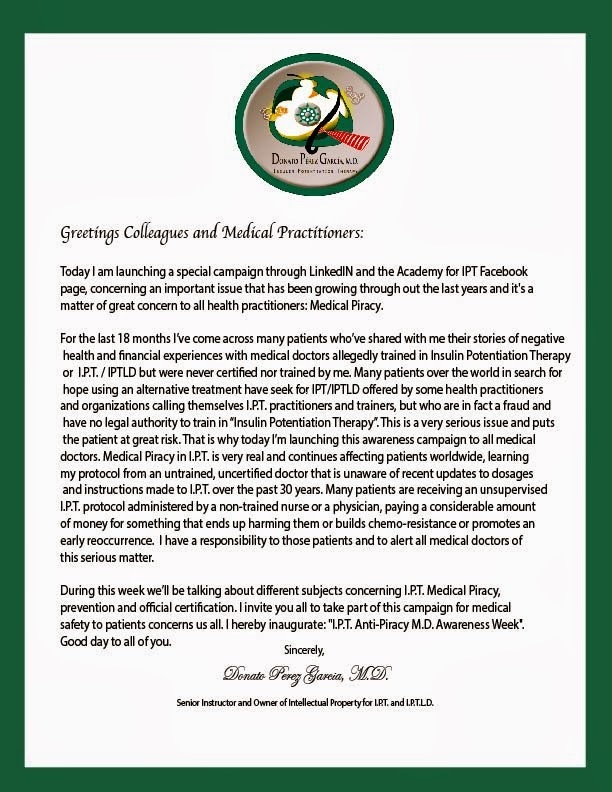 Week"
Today I am launching a special campaign through LinkedIN and the Academy for IPT Facebook page, concerning an important issue that has been growing through out the last years and it's a matter of great concern to all health practitioners: Medical Piracy. For the last 18 months I’ve come across many patients who’ve shared with me their stories of negative health and financial experiences with medical doctors allegedly trained in Insulin Potentiation Therapy or I.P.T. / IPTLD but were never certified nor trained by me. Many patients over the world in search for hope using an alternative treatment have seek for IPT/IPTLD offered by some health practitioners and organizations calling themselves I.P.T. practitioners and trainers, but who are in fact a fraud and have no legal authority to train in “Insulin Potentiation Therapy”. This is a very serious issue and puts the patient at great risk. That is why today I’m launching this awareness campaign to all medical doctors. Medical Piracy in I.P.T. is very real and continues affecting patients worldwide, learning my protocol from an untrained, uncertified doctor that is unaware of recent updates to dosages and instructions made to I.P.T. over the past 30 years. Many patients are receiving an unsupervised I.P.T. protocol administered by a non-trained nurse or a physician, paying a considerable amount of money for something that ends up harming them or builds chemo-resistance or promotes an early reoccurrence. I have a responsibility to those patients and to alert all medical doctors of this serious matter. Senior Instructor and Owner of Intellectual Property for I.P.T. and I.P.T.L.D. 1. What is Intellectual Property Theft? It is a robbery, the stealing of ideas, trade secrets, brands and legal patents in products, services and in this case medical protocols. It is a crime and it is punishable as the stealing of cars, technology, drugs or something of financial value. Information is valuable and there are laws both in Mexico and the United States that protect ownership of ideas and information, more so when it has to do with health and safety of consumers and general population. It is no different than entering into some one's home and deliberately stealing a priced possession. 2. Who is an I.P.T. Pirate M.D./Organization? Basically, all doctors, physicians, health care personal, associations, organization, foundations, academies, or societies who are administering/teaching the protocol of "Insulin Potentiation Therapy" (I.P.T.®) and "Insulin Potentiation Therapy Low Dose" (I.P.T.L.D.®) without authorization and certification from the rightful owner, Donato Pérez García, M.D. 3.Intellectual Property of Donato Perez Garcia, M.D. Those who know the story, might understand the immense hard work that's been promoting "Insulin Potentiation Therapy", those that have heard the story know that I.P.T. was invented by a Mexican Doctor in 1930, Donato Perez Garcia (III) and although proven remarkable healing properties, I.P.T. was not well accepted in Mexico. It took hard dedication and resources to find a medical society that would be opened to this new protocol, supporting and promoting it abroad. It has taken over 84 years, 3 family generations and the support of colleagues and friends to be able to offer this treatment to patients all over the world. It's been an everyday work task for these 3 medical doctors to see I.P.T. 's knowledge well accepted, knowing that patients over the world can benefit from this medical protocol is product of 8 decades of hard work. In the last years I.P.T. Piracy from medical doctors, organizations and health personal has been increasing, and with this, the risk and fraud to many patients. Every year, patients send their concern letters of negative experiences by doctors allegedly trained in "Insulin Potentiation Therapy" by other people other Donato Perez Garcia, M.D. As rightful owner, till this day, he is the only Medical Doctors authorized to train in I.P.T. and offer official certification. Every year Dr. Donato organizes Global Conferences and Training Seminars since February of 2001, open to any medical doctor seeking to learn this protocol. The invitations are open each year. According to Article 27 of the Universal Declaration of Human Rights, "everyone has the right to the protection of the moral and material interests resulting from any scientific, literary or artistic production of which he is the author". The Department of Justice Task Force on Intellectual Property is part of a Department-wide initiative to confront the growing number of domestic and international intellectual property (IP) crimes. It is chaired by the Deputy Attorney General. (2) In a case where the copyright owner sustains the burden of proving, and the court finds, that infringement was committed willfully, the court in its discretion may increase the award of statutory damages to a sum of not more than $5,500,000. Both in Mexico and the United States of America, there are laws and legal organizations, including the F.B.I, The National Intellectual Property Rights Coordination Center (IPR Center), The Department of Justice Task Force on Intellectual Property (IP), to name a few, that protect Intellectual Property rights and ownership of the Trademark of "Insulin Potentiation Therapy" (I.P.T.) and "Insulin Potentiation Therapy Low Dose" (I.P.T.L.D.) Many have ignored this fact and began organizations and private I.P.T. practices without consideration to the living relative of the founder and owner of I.P.T. This is not only unethical and disrespectful to the I.P.T. inventor and founder, but it is putting patients at risk, for not following proper procedure in training and official certification. Out of concern and protection to patients over the world who choose my protocol “Insulin Potentiation Therapy” I hereby announce that doctors, physicians, health care personal, associations, organizations, foundations, academies, or societies who are administering/teaching the protocol of "Insulin Potentiation Therapy" (I.P.T.®) and "Insulin Potentiation Therapy Low Dose" (I.P.T.L.D.®) without authorization and certification from the rightful owner, Donato Pérez García, M.D. who fail to reply to this serious matter will have to be considered for evaluation and a legal notification with the proper authorities, for this matter posts a threat to the health of general public who seek I.P.T. and are placing their trust in the hands of non certified, unofficially trained I.P.T. Physicians who have stolen Intellectual Property Information and are using it in an incorrect way, for self profit. The patient will have to know whether or not his/her doctor is fully trained in I.P.T. and must be explained the risks they take when choosing a non-certified I.P.T. doctor. 5. Medical Doctors and I.P.T. The demand for I.P.T. has increased and with that, the certification of M.D.'s. Unfortunately there have been many doctors who have taken and stolen knowledge on I.P.T. and used it to trained others for personal profit, even organizations and foundations have been opened in the name of I.P.T. without authorization nor consultation to the rightful owner of I.P.T. This was not the ideal of the founder, Donato Perez Garcia, M.D. (I) to see his work stolen and modified in a way that could harm or put the patient's health at risk. I.P.T. protocol has changed since 1930, so have drugs and pharmaceuticals that work with I.P.T. a doctor who was trained 10 or 5 or 3 years ago, is not up to date on current modifications of this treatment, that is why an expiration date is given on each certification. It has been said that the 4th generation will be the I.P.T. doctors around the globe; this treatment must be shared with other doctors, for the benefit of the patient. But this contribution should be done with respect and honor to the founder and descendant of Donato Pérez García, MD (1896-1971). Sharing the knowledge of I.P.T. doesn’t mean that any doctor or group of doctors can just take it for themselves and exclude the head director and senior instructor of I.P.T. It must be a willing collaboration among colleagues, to share and exchange information that will make them grow as professionals, keeping in mind the priority of their everyday work: the well being of the patient. Timing is everything when it comes to I.P.T. Not every medical doctor can be an I.P.T. Physician. It takes time, effort, preparation and a thorough evaluation to certify a doctor as an official I.P.T. Physician, capable and competent to perform this protocol, always keeping the security of the patient at high priority. Not all doctors are willing to do this hard part and choose to “skip” an authorized certification by the rightful owner of Insulin Potentiation Therapy. Each year there are Global I.P.T.-I.P.T.L.D® Conferences where all medical doctors are invited to join, each year there are seminars and training I.P.T. workshops given by Dr. Donato Perez Garcia, MD. the option to be officially certified is there and it's open, yet many choose to practice I.P.T. without ever being evaluated or supervised, putting the patient’s life and well being at great risk. Which is why, the I.P.T. Medical Team of Donato Perez Garcia is opening a virtual space where patients and general public can anonymously report mal practice from uncertified doctors/foundations and organizations that say to be allegedly trained and officially certified by Donato Perez Garcia, M.D. These reports will be taken into account and if not replied within a 2-week period, they will be directed to proper authorities. Some one has to look out for these patients and let them know they are not alone. As senior instructor and head director of I.P.T.-I.P.T.L.D. it is my duty and responsibility to advise and caution patients on this situation and provide a solution. Patients and general public today have free access to "The List" of Certified I.P.T. Practitioners, trained and endorsed by Donato Perez Garcia, M.D., which is updated on a yearly basis. Doctors and/or organizations that are not on this list are not authorized to practice/train in I.P.T. Any disregard to do so, in due time, will have to reported to proper authorities, both in Mexico and the United States of America. Since the beginning of Insulin Potentiation Therapy back in 1930, medical procedures and pharmaceutical drugs have change tremendously and no doubt will continue evolving without end. New and better drugs are available today, new discoveries in the knowledge of the human body, research and clinical trials in the combination of pharmaceutical compounds, etc. I.P.T has also been evolving and modifications are being made constantly made to better the treatment, use better medication or change dosage and methodology that can prevent discomfort, thus enhancing its potency. A doctor who’s not certified or updated on these matters, can cause a serious damage to the patient. That’s why Dr.Donato encourages all I.P.T Physicians to be in constant training and emits an expiration date on all licenses, to make sure they’re updated and prepared for any complication during the protocol. Unfortunately many doctors take the treatment into their own hands. They think they learned I.P.T from someone else, but were never evaluated nor officially certified by Dr. Donato. Others never bother in updating their knowledge and continue administering I.P.T. without any supervision. This puts the patient at risk. 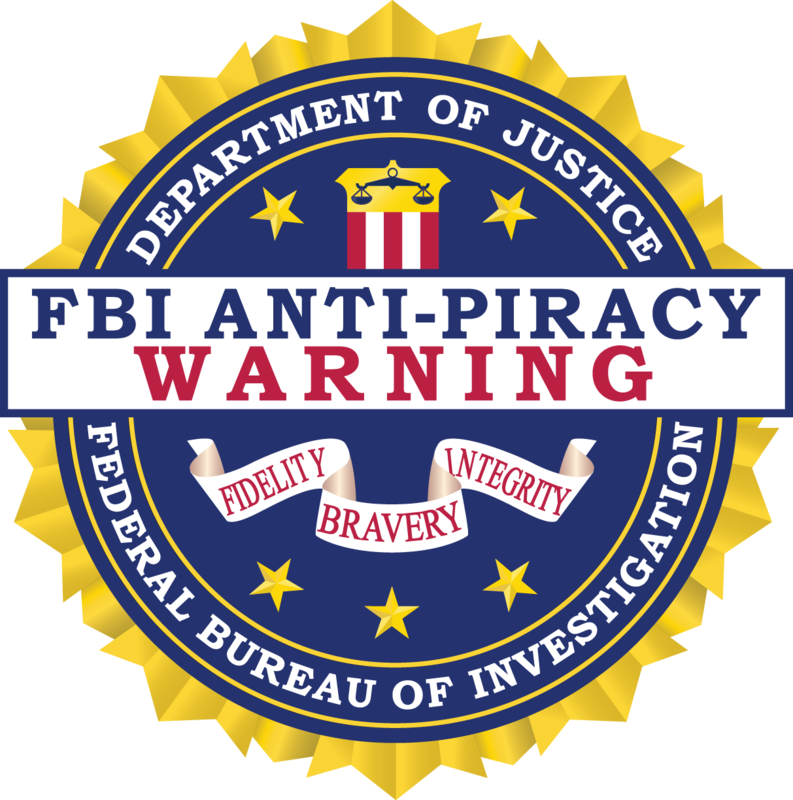 Hi, my name is Paula, I was glad to hear Dr. Donato was launching this Anti-Piracy Campaign, as I was affected in a way by a Pirate doctor who, years later, I learned was never really certified by Dr. Donato. When I first got diagnosed with lung cancer, my oncologist wanted me to start full dose chemo and radiation. I’d witnessed what that could do to a person, since lung cancer ran in my family. An uncle of mine also had lung cancer and by the time he finished full chemo and radiation, he was just a whole different person, the chemo and radiation had left him so weak and fragile that I guess his body couldn’t take it for long, he passed away shortly after that. So I knew I didn’t want to start that kind of treatment. My husband and I started looking for alternative treatments, there are so many out there, It was hard to choose. But finally we decided on I.P.T. I looked for doctors here in Houston where I live and there was one who offered I.P.T. When I went to his office and met him, I SHOULD OF ASKED HIM RIGHT THEN AND THERE, where he had gotten his degree on I.P.T. His office was filled with framed diplomas and recognitions but nowhere did I see a document that said he had been trained in I.P.T. He only said he’d been doing it for the past 5 years or so. I’m not a wealthy person, but me and my husband had saved for a rainy day and we could pay a good treatment but I never thought I was dealing with a Pirate doctor. The first 5 months I started I.P.T there where no real dramatic results, not what I expected since I heard I.P.T. was so good. But still, this doctor said my cancer was very aggressive and that it would take time (and lots of more money) to see results. Still, I didn’t want to do high dose chemo so I continued treatment. Another 4 months went by and I only had 15% improvement. I was so sad and dissapointed, I thought I had no choice but to prepare myself to die. It’s a terrible feeling, thank god my husband supported me all the time, it was his idea to look up in the internet other alternatives. For some reason I came across with Dr. Donato’s name, I looked up his web page and realized he was the grandson of the founder of I.P.T. and he was still alive and practicing I.P.T. in Mexico. I decided to call him and tell him about my situation, if someone knew this treatment better than anyone, that was him. After a few phone calls and emails I briefed him on my experience, I showed him my medical records and he could tell something was wrong. I remember so well, the first time he told me, when he saw my physicians name: “I’m afraid this doctors was never trained by me and he’s not a certified IPT doctor”. That’s when It hit me. It turned out this doctor was trained by a student of a student but never got real certification and was never updated on the protocol’s modification, for over 5 years! The amounts of insulin and chemo agents he was giving me, were all messed up and it affected my body, creating resistance to the chemo agents, affecting my recovery. I paid over $20,000 dlls to this doctor, I wasted such precious time thinking I was getting better but really wasn’t. IPT works, but under the hands of these pirate doctors, it doesn’t . I tried and tried to get my money back but this doctor would never admit he’d be wrongly doing IPT with me, or that he’d never gotten a license to administer IPT. I was so glad to hear Dr. Donato was launching this Anti-Piracy campaign, because I lived thru the consequences of medical piracy and only when you’ve been there you know how unfair and frustrating that is to someone who’s fighting for her/his life. Eventually I continued with I.P.T. with a real I.P.T. doctor, but still, the damage the other doctor in Houston did left my body with a high resistance to chemo agents that it took even more time to fix. I know now, If I’ve know the risks, If I’ve known he was not certified by Dr. Donato, I’d never would of agreed, I would rather make the trip to Mexico and get IPT from the Head Director of IPT himself. To all the patients out there, please be careful, do your research and make sure you ask for certification credentials, don’t just take their word for it. 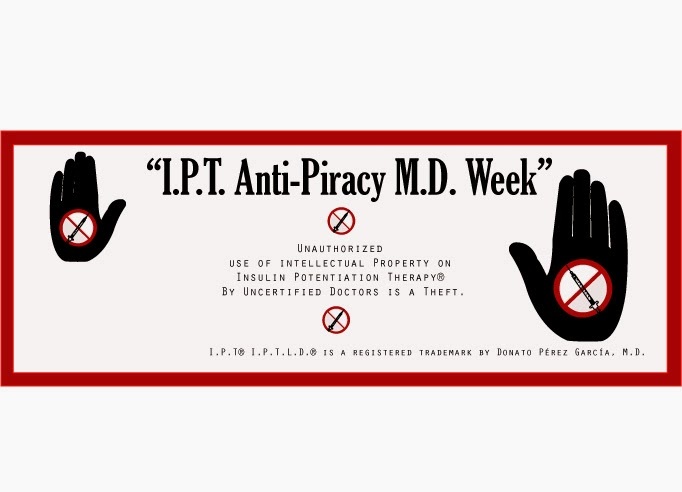 I know now there’s a list of certified IPT doctors in the internet and on Dr. Donato’s web page, check that and make sure you don’t fall into the hands of a Pirate doctor. I will definitely report my experience to this site and hopefully I can still get justice for what was done. TINA-.My name is Tina, I'm not a patient or anything, but my mother was a cancer patient for many years. She wAS on remission in 2006 but the cancer came back. She began getting full chemo treatments but it really started to raised her toxicity levels on the liver. Numbers were so high we were afraid her liver wouldn’t resist so we looked at other choices. A neighbor of ours who’d also had had cancer some years back told us about I.P.T. and Dr. Donato. A low dose chemo treatment was a better option for my mother. Unfortunately we didn’t have the resources to go to Mexico and stay there for the remaining of her treatment, in the past, the insurance had cover for everything. We searched and came across this doctor who was listed as an IPT doctor in a near city where I live. His fees where affordable to our budget and said he could start right away with her. He did all sorts of other alternative medicines, some of which I’ve never heard before, on his door, office and desk were written the initials for doctor “Dr.” Maybe it was the fact me and my mom were tired, or worried or whatever, that we never ever thought we were dealing with an unprofessional pirate doctor. On his web site it said he was a trained IPT doctor but never said trained by who or where. For a while it seemed she was doing fine. I do remember she got very agitated during the treatment, whenever I’d ask him what was wrong he’d just say it was normal. But it didn’t seem normal to me. Agitation was so bad I could see her in pain sometimes. At the end, the treatments where too many for what we could afford, and eventually my mom had to go back to full chemo. She was very strong and lasted another year before she passed away. We did try. Last year I was on Facebook and came across Dr. Donato’s Fan Page, he’d launched a certification campaign, notifying that not every doctor in IPT is certified and there was this article on his blog that described the normal symptoms a patient has when receiving IPT. That didn’t sound like what I saw on my mom. So I wrote to Dr. Donato, just to get this doubt out of my head, either way my mom had died but still…he told me to check the list of certified medical doctors and what a surprise when I didn’t see our doctor’s name on that list. I looked into it and found out this person who had done IPT, was a doctor, but not a medical doctor, just a Ph.D doctor. I don’t know where he think he learned IPT but not being a medical doctor have no skills on how to deal with adverse side effects from hipoglucemia, like the one’s I saw on my mom. Most of the medical paper work of my mother I had already disposed of, I had no way of proving anything, all I have is this great doubt of what the damages this untrained PhD really did to my mom’s recovery, not to mention the great deal of money we spent. I’ll probably never know for sure, but this experience taught me a great deal, and you cannot just take for granted someone, least of all when your life is at stake. I wished I’d had done better research and identified this man as a Pirate doctor, not even a real medical doctor. Today's topic on the "I.P.T. Anti-Piracy M.D-Awareness Week” speaks about respect to a great man that left us a legacy that today has helped and improved the lives of many patients all over the world. The family legacy of 3 generations of devoted doctors, that have struggled and fought very hard to bring forth this medical treatment called Insulin Potentiation Therapy. Each of these 3 generations had to make great sacrifice and hard work to make this option available to people from around the world. I.P.T. didn’t spread by it self, it’s been decades of devotion and care from these doctors and colleagues, and that must be valued and respected. It has been said that the 4th generation will be the I.P.T. doctors around the globe; this treatment must be shared with other doctors, for the benefit of the patient. But this contribution should be done with respect and honor to the founder and descendant of Donato Pérez García, MD (1896-1971). Sharing the knowledge of I.P.T. doesn’t mean that any doctor or group of doctors can just take it for himself or herself and exclude the head director and senior instructor of I.P.T. It must be a willing collaboration among colleagues, to share and exchange information that will make them grow as professionals, keeping in mind the priority of their everyday work: the well being of the patient. Not every medical doctor can be an I.P.T. Physician. It takes time, effort, preparation and a thorough evaluation to certify a doctor as an official I.P.T. Physician, capable and competent to perform this protocol, always keeping the security of the patient at high priority. Not all doctors are willing to do this hard part and choose to “skip” an authorized certification by the rightful owner of Insulin Potentiation Therapy. Each year there are Global I.P.T.-I.P.T.L.D® Conferences where all medical doctors are invited to join, each year there are seminars and training I.P.T. workshops given by Dr. Donato Perez Garcia, MD. the option to be officially certified is here and it's open, yet many choose to practice I.P.T. without ever being evaluated or supervised, putting the patient’s life and well being at great risk. Taking off with the Intellectual Property of I.P.T. by associations and doctors that have no respect for the ethical values of this legacy, must be questioned for their true values as human beings. A doctor or association that’s willing to take off with intellectual property for their own benefit, excluding the founder of such an incredible treatment, is a doctor or Association worth questioning about. For we, as human being always have the choice to do well in a right/correct way, not at the expense of someone else’s hard work. This is why "I.P.T. Anti-Piracy M.D. Awareness Week” is so important. Doctors must be aware of this situation and make their own choice. A side from the issue of “safety” which is the most important, but also, on the issue of moral standards and respect for what’s authentic, the honor to these 3 men who’ve given us a medical protocol that can cure/treat cancer, that can improve the quality of life of ill people, that can extend life and give hope in the most difficult battle of all, the fight to live and continue living, existing, doing the things we love, sharing happiness with people we love. That’s the real gift these doctors have left us and we should be grateful and respect their effort and hard work. Not only for us, but also for all the future generations to come. As third generation of Donato Perez Garcia doctors, it is my ideal that I.P.T. can be a treatment option for anyone, anywhere, that all patient can benefit from my grandfather's invention and enjoy good quality of life. I, for once, want to share I.P.T. with fellow colleagues, and it is why since 2000 it's been my personal and professional goal to offer these training workshops and global conferences open to all medical doctors, Naturopathic Doctor, Osteopathic doctors, homeopathic doctors and Vetenaries. 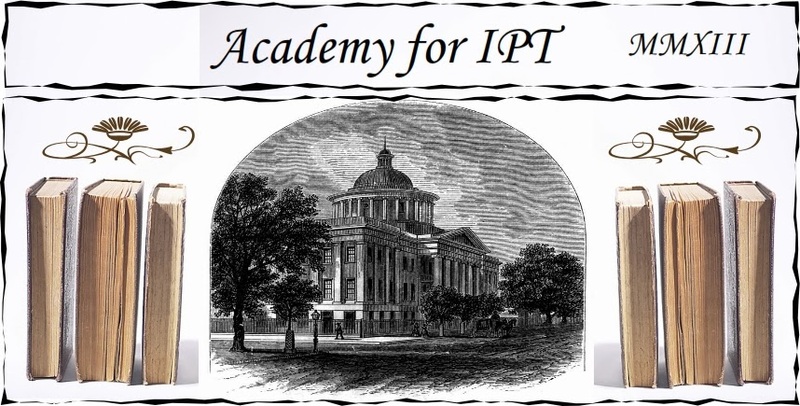 I welcome all to join The Academy for IP.T. and support my fellow colleagues who've shown interest and respect for my work. LinkedIn: Donato Perez Garcia, M.D.